Indeed, in Haino’s hands the idea of Ex Nihilo is practised with alchemical magick, as he effectively syncretises and distills myriad disciplines ranging from traditional Japanese Butoh theatre and the avant garde dramaturgy of Antonin Artaud thru to garage psychedelia, free jazz, cabaret and troubadour music in his truly sui generis style, all feeding into an energy which means that no matter what situation he’s in, whether collaborating with Derek Bailey, Stephen O’Malley or Merzbow, Haino will always extract something vital from the air or himself that perhaps wasn’t there or didn’t exist in that way before. 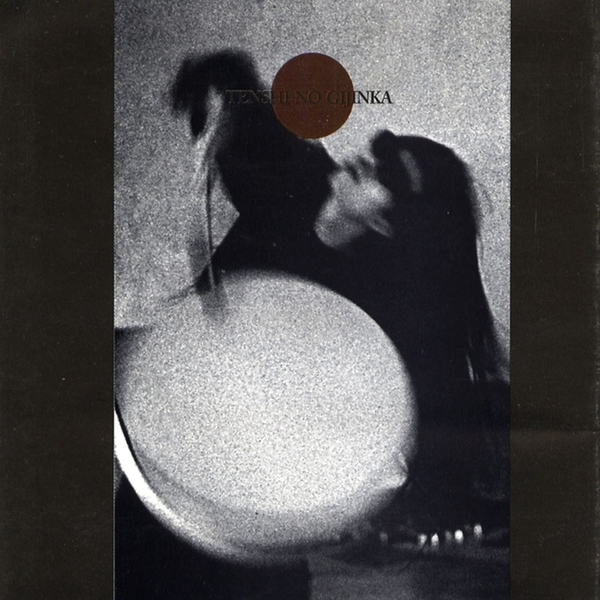 On Tenshi No Gijinka Haino works at the very limits of his powers of intuition, proprioception and innovative ingenuity to generate a remarkable variety of tones and structures from his famed collection of percussion and percussive objets. Coupled with his own vocals, which scale from hellish shrieks to roundly resonant harmonies and guttural lurches, the combination of percussive and vocal dynamics and the pure focus on their timbral interplay feels utterly primordial, yet is betrayed by the acutely present sense of discipline which Haino applies to his art with each hit, stroke and exclamation carrying a sense of timelessly encrypted meaning, rather than just randomness. For us, Tenshi No Gijinka rests on the very limen of genius and insanity, yielding a somehow centring yet psychotomimetic experience that frightens and captivates in equal measure.